The ICJ comprises a panel of 15 judges elected by the General Assembly and Security Council for nine-year terms. It is seated in the Peace Palace in The Hague, Netherlands, making it the only principal U.N. organ not located in New York City. Its official working languages are English and French. The court's workload covers a wide range of judicial activity. After the court ruled that the United States's covert war against Nicaragua was in violation of international law (Nicaragua v. United States), the United States withdrew from compulsory jurisdiction in 1986 to accept the court's jurisdiction only on a discretionary basis. Chapter XIV of the United Nations Charter authorizes the UN Security Council to enforce Court rulings. However, such enforcement is subject to the veto power of the five permanent members of the Council, which the United States used in the Nicaragua case. There is an informal understanding that the seats will be distributed by geographic regions so that there are five seats for Western countries, three for African states (including one judge of francophone civil law, one of Anglophone common law and one Arab), two for Eastern European states, three for Asian states and two for Latin American and Caribbean states. 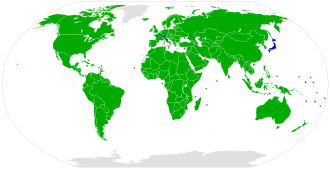 For most of the court's history, the five permanent members of the United Nations Security Council (France, Russia, China, the United Kingdom, and the United States) have always had a judge serving, thereby occupying three of the Western seats, one of the Asian seats and one of the Eastern European seats. Exceptions have been China not having a judge on the court from 1967 to 1985, during which time it did not put forward a candidate, and British judge Sir Christopher Greenwood being withdrawn as a candidate for election for a second nine-year term on the bench in 2017, leaving no judges from the United Kingdom on the court. Greenwood had been supported by the UN Security Council but failed to get a majority in the UN General Assembly. Indian judge Dalveer Bhandari instead took the seat. Article 6 of the Statute provides that all judges should be "elected regardless of their nationality among persons of high moral character" who are either qualified for the highest judicial office in their home states or known as lawyers with sufficient competence in international law. Judicial independence is dealt with specifically in Articles 16–18. Judges of the ICJ are not able to hold any other post or act as counsel. In practice, members of the court have their own interpretation of these rules and allow them to be involved in outside arbitration and hold professional posts as long as there is no conflict of interest. A judge can be dismissed only by a unanimous vote of the other members of the court. Despite these provisions, the independence of ICJ judges has been questioned. For example, during the Nicaragua case, the United States issued a communiqué suggesting that it could not present sensitive material to the court because of the presence of judges from Eastern bloc states. The system may seem strange when compared with domestic court processes, but its purpose is to encourage states to submit cases. For example, if a state knows that it will have a judicial officer who can participate in deliberation and offer other judges local knowledge and an understanding of the state's perspective, it may be more willing to submit to the jurisdiction of the court. Although this system does not sit well with the judicial nature of the body, it is usually of little practical consequence. Ad hoc judges usually (but not always) vote in favour of the state that appointed them and thus cancel each other out. Ad hoc chambers are more frequently convened. For example, chambers were used to hear the Gulf of Maine Case (Canada/US). In that case, the parties made clear they would withdraw the case unless the court appointed judges to the chamber acceptable to the parties. Judgments of chambers may have either less authority than full Court judgments or diminish the proper interpretation of universal international law informed by a variety of cultural and legal perspectives. On the other hand, the use of chambers might encourage greater recourse to the court and thus enhance international dispute resolution. As stated in Article 93 of the UN Charter, all 193 UN members are automatically parties to the court's statute. Non-UN members may also become parties to the court's statute under the Article 93(2) procedure. For example, before becoming a UN member state, Switzerland used this procedure in 1948 to become a party, and Nauru became a party in 1988. Once a state is a party to the court's statute, it is entitled to participate in cases before the court. However, being a party to the statute does not automatically give the court jurisdiction over disputes involving those parties. The issue of jurisdiction is considered in the three types of ICJ cases: contentious issues, incidental jurisdiction, and advisory opinions. In contentious cases (adversarial proceedings seeking to settle a dispute), the ICJ produces a binding ruling between states that agree to submit to the ruling of the court. Only states may be parties in contentious cases. Individuals, corporations, parts of a federal state, NGOs, UN organs and self-determination groups are excluded from direct participation in cases although the court may receive information from public international organizations. That does not preclude non-state interests from being the subject of proceedings if a state brings the case against another. For example, a state may, in cases of "diplomatic protection", bring a case on behalf of one of its nationals or corporations. Second, 36(1) also gives the court jurisdiction over "matters specifically provided for... in treaties and conventions in force". Most modern treaties contain a compromissory clause, providing for dispute resolution by the ICJ. Cases founded on compromissory clauses have not been as effective as cases founded on special agreement since a state may have no interest in having the matter examined by the court and may refuse to comply with a judgment. For example, during the Iran hostage crisis, Iran refused to participate in a case brought by the US based on a compromissory clause contained in the Vienna Convention on Diplomatic Relations and did not comply with the judgment. Since the 1970s, the use of such clauses has declined. Many modern treaties set out their own dispute resolution regime, often based on forms of arbitration. Third, Article 36(2) allows states to make optional clause declarations accepting the court's jurisdiction. The label "compulsory" sometimes placed on Article 36(2) jurisdiction is misleading since declarations by states are voluntary. Furthermore, many declarations contain reservations, such as exclusion from jurisdiction certain types of disputes ("ratione materia"). The principle of reciprocity may further limit jurisdiction. As of February 2011, sixty-six states had a declaration in force. Of the permanent Security Council members, only the United Kingdom has a declaration. In the court's early years, most declarations were made by industrialized countries. Since the Nicaragua case, declarations made by developing countries have increased, reflecting a growing confidence in the court since the 1980s. Industrialized countries, however, have sometimes increased exclusions or removed their declarations in recent years. Examples include the United States, as mentioned previously, and Australia, which modified its declaration in 2002 to exclude disputes on maritime boundaries (most likely to prevent an impending challenge from East Timor, which gained their independence two months later). In addition, the court may have jurisdiction on the basis of tacit consent (forum prorogatum). In the absence of clear jurisdiction under Article 36, jurisdiction is established if the respondent accepts ICJ jurisdiction explicitly or simply pleads on the merits. 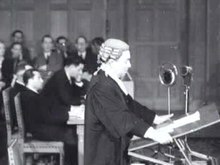 The notion arose in the Corfu Channel Case (UK v Albania) (1949), in which the court held that a letter from Albania stating that it submitted to the jurisdiction of the ICJ was sufficient to grant the court jurisdiction. Until rendering a final judgment, the court has competence to order interim measures for the protection of the rights of a party to a dispute. One or both parties to a dispute may apply the ICJ for issuing interim measures. In the Frontier Dispute Case, both parties to the dispute, Burkina Faso and Mali submitted an application to the court to indicate interim measures. Incidental jurisdiction of the court derives from the Article 41 of the Statute of it. Such as the final judgment, the order for interim measures of the court are binding on state parties to the dispute. The ICJ has competence to indicate interim measures only if the prima facie jurisdiction is satisfied. An advisory opinion is a function of the court open only to specified United Nations bodies and agencies. The UN Charter grants the General Assembly or the Security Council a power to request the court to issue an advisory opinion on any legal question. Other organs of the UN rather than GA and SC may not request an advisory opinion of the ICJ unless the General Assembly authorizes them. Other organs of the UN only request an advisory opinion of the court regarding the matters falling into the scope of their activities. On receiving a request, the court decides which states and organizations might provide useful information and gives them an opportunity to present written or oral statements. Advisory opinions were intended as a means by which UN agencies could seek the court's help in deciding complex legal issues that might fall under their respective mandates. An advisory opinion derives its status and authority from the fact that it is the official pronouncement of the principal judicial organ of the United Nations. Article 94 establishes the duty of all UN members to comply with decisions of the court involving them. If parties do not comply, the issue may be taken before the Security Council for enforcement action. There are obvious problems with such a method of enforcement. If the judgment is against one of the permanent five members of the Security Council or its allies, any resolution on enforcement would then be vetoed. That occurred, for example, after the Nicaragua case, when Nicaragua brought the issue of the United States' noncompliance with the court's decision before the Security Council. Furthermore, if the Security Council refuses to enforce a judgment against any other state, there is no method of forcing the state to comply. Furthermore, the most effective form to take action for the Security Council, coercive action under Chapter VII of the United Nations Charter, can be justified only if international peace and security are at stake. The Security Council has never done that so far. 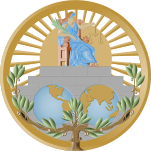 The relationship between the ICJ and the Security Council, and the separation of their powers, was considered by the court in 1992 in the Pan Am case. The court had to consider an application from Libya for the order of provisional measures to protect its rights, which, it alleged, were being infringed by the threat of economic sanctions by the United Kingdom and United States. The problem was that these sanctions had been authorized by the Security Council, which resulted in a potential conflict between the Chapter VII functions of the Security Council and the judicial function of the court. The court decided, by eleven votes to five, that it could not order the requested provisional measures because the rights claimed by Libya, even if legitimate under the Montreal Convention, could not be prima facie regarded as appropriate since the action was ordered by the Security Council. In accordance with Article 103 of the UN Charter, obligations under the Charter took precedence over other treaty obligations. Nevertheless, the court declared the application admissible in 1998. A decision on the merits has not been given since the parties (United Kingdom, United States, and Libya) settled the case out of court in 2003. For example, the United States had previously accepted the court's compulsory jurisdiction upon its creation in 1946 but in 1984, after Nicaragua v. United States, withdrew its acceptance following the court's judgment that called on the US to "cease and to refrain" from the "unlawful use of force" against the government of Nicaragua. The court ruled (with only the American judge dissenting) that the United States was "in breach of its obligation under the Treaty of Friendship with Nicaragua not to use force against Nicaragua" and ordered the United States to pay war reparations. If the parties agree, they may also grant the court the liberty to decide ex aequo et bono ("in justice and fairness"), granting the ICJ the freedom to make an equitable decision based on what is fair under the circumstances. That provision has not been used in the court's history. So far, the International Court of Justice has dealt with about 130 cases. The ICJ is vested with the power to make its own rules. Court procedure is set out in the Rules of Court of the International Court of Justice 1978 (as amended on 29 September 2005). Once deliberation has taken place, the court issues a majority opinion. Individual judges may issue concurring opinions (if they agree with the outcome reached in the judgment of the court but differ in their reasoning) or dissenting opinions (if they disagree with the majority). No appeal is possible, but any party may ask for the court to clarify if there is a dispute as to the meaning or scope of the court's judgment. The International Court does not enjoy a full separation of powers, with permanent members of the Security Council being able to veto enforcement of cases, even those to which they consented to be bound. Because the jurisdiction does not have binding force itself, in many cases, the instances of aggression are adjudicated by Security Council by adopting a resolution, etc. There is, therefore, a likelihood for the permanent member states of Security Council to avoid the legal responsibility brought up by International Court of Justice, as shown in the example of Nicaragua v. United States. ^ "Aerial Incident of 3 July 1988 (Islamic Republic of Iran v. United States of America)". 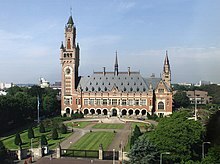 Icj-cij.org. ^ "Armed Activities on the Territory of the Congo (Democratic Republic of the Congo v. Uganda)". Icj-cij.org. ^ Suh, Il Ro (April 1969). "Voting Behavior of National Judges in International Courts". The American Journal of International Law. 63 (2): 224–236. doi:10.2307/2197412. JSTOR 2197412. Wilde, Ralph; Charlesworth, Hilary; Schrijver, Nico; Krisch, Nico; Chimni, B. S.; Gowlland-Debbas, Vera; Klabbers, Jan; Yee, Sienho; Shearer, Ivan (11 December 2011). "United Nations Reform Through Practice: Report of the International Law Association Study Group on United Nations Reform". doi:10.2139/ssrn.1971008.